LAS VEGAS, NV (October 5, 2016) – The Nevada Boxing Hall of Fame (NVBHOF) a non-profit charitable organization which donates to boxing-related causes, is happy to announce Michelle Corrales-Lewis as its new CEO/President. Respected boxing announcer, Rich Marotta, who founded the NVBHOF in 2012, steps down after devoting years of his life to get the organization off the ground. 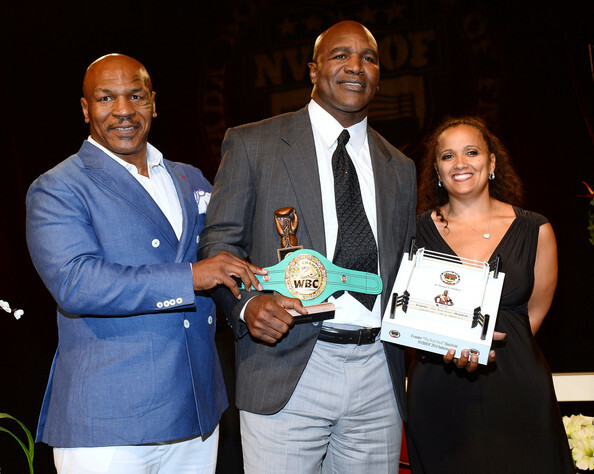 With a number of boxing greats already inducted, which include world champion fighters, judges, coaches and promoters, the NVBHOF has rapidly established itself as prestigious group not only here in Las Vegas, but around the world. The NVBHOF has multiple fundraising events throughout the year, helping local boxing organizations fulfill their goals to keep boxing alive within the community. After serving as the NVBHOF Chief Operating Officer for many years, Michelle Corrales-Lewis, is thrilled at her new position within the organization. Three Punch Combo: What’s in the Cards for Spence, Kell Brook, and Cotto? THREE PUNCH COMBO: Errol Spence Jr. scored an impressive knockout victory against Kell Brook on Saturday to take Brook’s IBF welterweight title. Both fighters now face interesting possibilities as they move forward in their respective careers. Spence, who entered the fight with a lot of questions, not only showcased his tremendous skills but proved he has a very good chin as well as the willingness to dig deep when needed. He is without a doubt a future superstar in this sport. With momentum strong right now, he would be wise to be as active as possible even if not landing one of the big names his next time out. I sense that Spence’s advisor, Al Haymon, will in fact get him back in the ring this summer. One name I would speculate as an opponent is Adrian Granados. Coming off a debatable loss to Adrien Broner, Granados has earned another shot at a top fighter. Granados is not a big puncher, but will put forth a good effort. The translation here is that he is someone that can be sold to the public as an opponent for Spence while bigger names are lined up, and also someone against whom Spence can in all likelihood look impressive once again. After a summer tilt, I would expect to see Spence back in action towards the end of the year in a more substantial fight. Keith Thurman will still be on the mend at this point, recovering from elbow surgery, so that fight is out until next year. But Haymon has plenty of other welterweights and one that I suspect he steers toward Spence will be Lamont Peterson. Peterson is a name and has a belt. He also has a stated desire to want one of the big names next along with the payday that it would command. With Thurman out, this would seem the likely immediate path for Spence as such a fight would draw plenty of attention and be easy to sell. As for Brook, he is going to need an extensive rest before restarting his career. 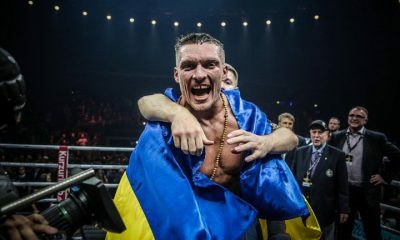 He suffered a beating as well as an eye injury in September against Gennady Golovkin and then suffered another beating as well as injuring his other eye against Spence. After a rest, expect to see a tune- up bout followed by a massive fight in the UK against Amir Khan. 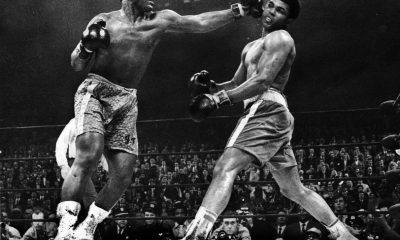 The Khan fight has always been big and one of the reasons it has not been made is that it could frankly be made anytime with it still being a very significant event. Considering where both fighters are presently in their respective careers, the timing seems right for it to happen sooner rather than later. 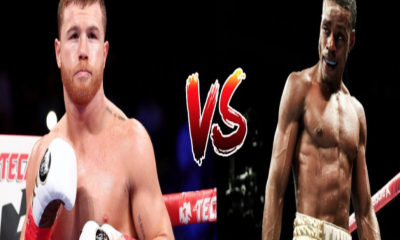 They both get a big payday and the winner gets well positioned for another big payday in what is a loaded territory at welterweight and junior middleweight. Errol Spence Jr. and Kell Brook gave us a great fight on Saturday. While their career paths will head in different directions, expect to see both involved in big events once again down the road. Miguel Cotto announced this week that he would be returning to the ring on August 26th to face Japanese brawler Yoshihiro Kamegai for the vacant WBO junior middleweight championship. Cotto, who split from his promoter Roc Nation last week, will work with Golden Boy Promotions for this fight which will be televised by HBO. This is an interesting development in the career of Cotto. Reportedly HBO had not been interested in televising the proposed Kamegai fight unless it received assurances from Cotto that it would lead to a bigger fight to be televised by the network. Also, Golden Boy’s involvement in the promotion signals that they could be involved in Cotto’s future. Obviously, this would mean the opponent for a big fight for Cotto would come from under the Golden Boy banner. The obvious choice for Cotto’s big fight opponent is David Lemieux. 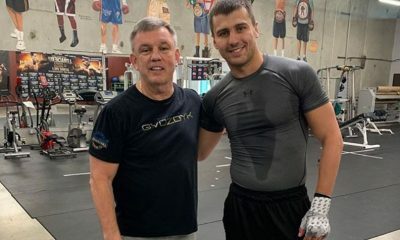 Lemieux has been chasing a fight with Canelo Alvarez. However, with Alvarez deciding to go after Gennady Golovkin, Lemieux gets left on the outside looking in. In need of a big fight for Lemieux, Golden Boy saw an opportunity with Cotto having been previously negotiating the Kamegai fight with Roc Nation. A fight between Cotto and Lemieux makes sense for both as Cotto wants a name who isn’t a slick boxer and Lemieux wants a big fight with the payday it commands as well as the opportunity to put a signature win on his resume to bolster his future ambitions. But I also think Golden Boy has another potential plan for Cotto. Golden Boy’s main cash cow, Canelo Alvarez, is in a high risk, high reward fight with Golovkin in September. There is no rematch clause if Alvarez wins and, of course, a win by Alvarez cements him as a mega star in the sport. He will be eyeing a return in May 2018 during Cinco de Mayo weekend. With momentum behind him, Alvarez would be wise to seek a name opponent to further boost the event. A rematch with Cotto would not only do huge business but keep the momentum going. For Cotto, it would be a chance to avenge the loss from 2015 to Alvarez and give him one massive payday as his career nears a conclusion. Miguel Cotto is determined to close his career out with something big and it appears likely he will get his wish. When Golden Boy announced its new series on ESPN this winter, I was cautiously optimistic in the fights they would produce. I must say that the matchmaking thus far on this series has been superb and is getting even better with some recently announced cards. These are the types of televised shows the sport needs to generate some badly needed positive buzz. On June 17th, Pablo Cesar Cano takes on Fidel Maldonado in a junior welterweight contest. This fight is not only very evenly matched but can’t be anything except a slugfest given the styles of the two fighters. Cano is a high pressure fighter who is willing to exchange to get his own punches home. Maldonado has the ability to box, but often gets drawn willingly into wars. In 2015, he had a back and forth shootout with Amir Iman in a fight that got some talk in fight of the year chatter. As a matter of fact, round three was probably round of the year that year. Maldonado has a tendency to fire back when he gets hit and with Cano’s style Maldonado is going to get hit a lot. This one is guaranteed action and a perfect fight for television. 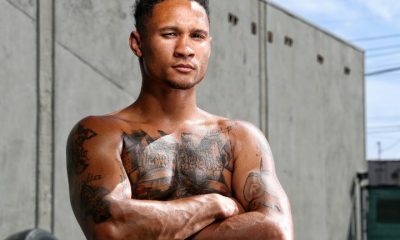 About two weeks later, Golden Boy returns with another ESPN card featuring a high stakes junior featherweight contest between Randy Caballero and Oscar Negrete. Caballero is an undefeated former bantamweight belt holder and is a very skilled boxer puncher. Negrete, also undefeated, has shown much improvement inside the ring in his last few contests. The styles of these two should mix well to provide an entertaining fight. It is also evenly matched, and with so much at stake we should see the best of both men inside the ring. One point I harp on a lot is the importance of good matchmaking, especially in televised fights. Golden Boy is doing an excellent job so far with their new ESPN series providing high quality, well-matched fights. The boxing public is taking notice and Golden Boy deserves much praise in delivering excellent events for the fans. Check out more boxing news on video at The Boxing Channel. George Foreman Youth Center – -Starting with the ring of the bell on October 22nd, local area boxers will be fighting for a spot to represent the Gulf Coast Region at the USA Boxing National Championships & in International Travel. Weight categories will include: Pee Wee 8-9, Bantam 10-11, Intermediate 12-13, Juniors 14-15, Youth 15-16, & Elite 18-40 in both Open and Novice divisions. Winners will represent the Gulf area at the 2016 USA Boxing Elite, Youth and Junior National Championships to be held in Kansas City Missouri December 4-10, 2016. This tournament is a sanctioned event through USA Boxing the National Governing Body of Amateur Boxing and is a feeder to National and Olympic recognition. 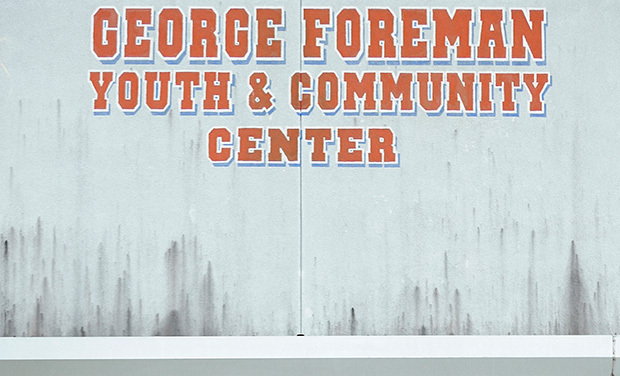 The George Foreman Youth and Community Center was founded 32 years ago in 1984 by Olympic Gold Medalist and 2-time heavy weight champion George Foreman. The GFYCC is dedicated to providing a safe and secure location for youth to participate in sports and after school activities. Doors open for the Gulf Gloves Championships on Saturday October 22nd at 11:00 am with announcements and the presentation of the colors by the United States Army Houston Recruiting Command Baytown Beaumont Company at 12:45 pm. The national anthem will be performed by the internationally acclaimed Houston Brass Quintet! Boxing will begin at 1:00 pm. Championship finals will begin at 1:00 pm on Sunday October 23rd. Media open workouts for Houston amateur standout boxers will be held Wednesday October 19th at the George Foreman Youth and Community Center at 2202 Lone Oak Road Houston, Texas 77093 at 4:00 pm. Marlen Esparza: 2012 Olympic Games Bronze Medalist, 2014 Amateur World Champion, 2006 & 2016 Amateur World Championships Bronze Medalist, Nine-Time USA Boxing National Champion. 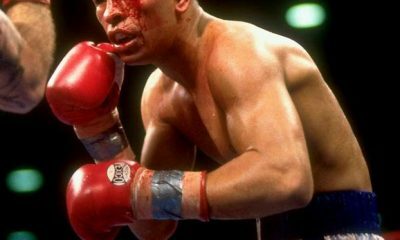 Rocky Juarez: 2000 Olympic Games Silver Medalist, 1999 Amateur World Champion, WBC Silver Featherweight World Champion. Raul Marquez: 1988 Amateur World Championships Bronze Medalist, 1992 Olympic Games Quarter-finalist, IBF Light Middleweight World Champion. Frank Tate: 1984 Olympic Games Gold Medalist, IBF Middleweight World Champion, NABF Light Heavyweight Champion. 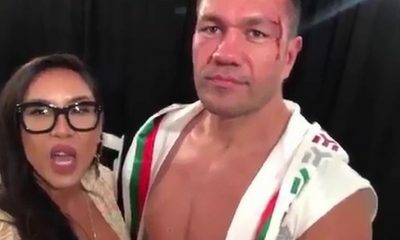 Juan “Baby Bull” Diaz: WBA Lightweight World Champion, WBO Lightweight World Champion, WBA Super-Lightweight World Champion, IBF Lightweight World Champion. “Sweet” Reggie Johnson: WBA Middleweight World Champion, IBF Light Heavyweight World Champion. George Foreman Youth Center / Check out more boxing news and videos at The Boxing Channel. 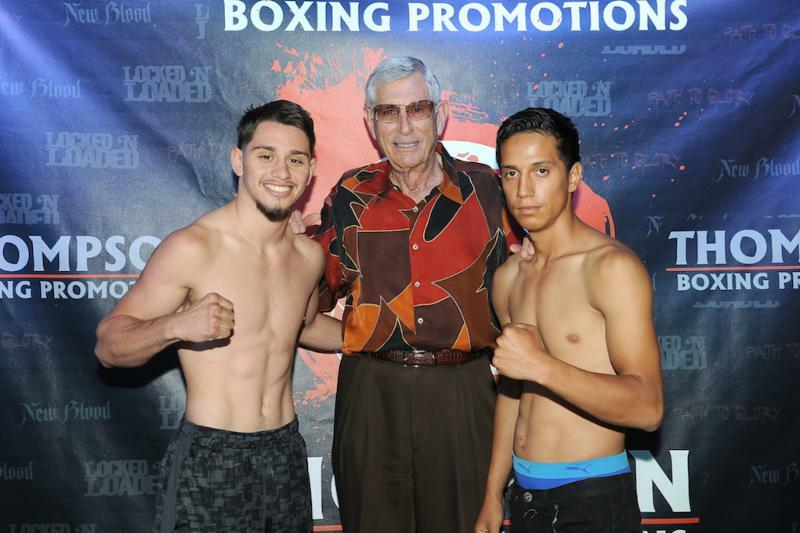 Ruben Villa vs Jose Mora TONIGHT – Heralded prospect Ruben Villa (1-0, 1 KO) will make his 2nd professional start when he takes on Jose Mora on TONIGHT at the Doubletree Hotel in Ontario, California. 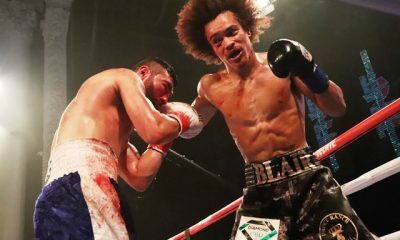 Villa of Salinas, California is looking for his second straight impressive performance after stopping Gerardo Molina in the first round of his debut on July 29th in the same venue. Villa weighed in at 125.2 pounds, while Mora was 122.3 pounds at Thursday’s weigh-in. 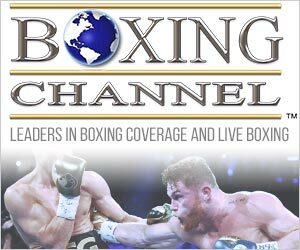 Ruben Villa vs Jose Mora TONIGHT / Check out more boxing news and videos at The Boxing Channel.